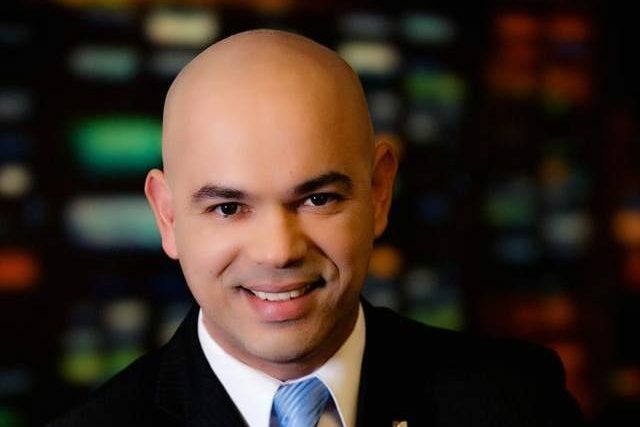 Javier Castro has quit his job at the Telemundo O&O in Denver, where he has worked as a weather and traffic anchor for the past two years. His last day is Friday, August 7. “I’m looking for new opportunities in larger markets so I can take my career to the next level,” he tells Media Moves. Although he doesn’t have a job lined up yet, he says he’s currently in talks with potential employers. While based at KDEN, Javier has also anchored weather segments for Telemundo stations in San Jose and Phoenix. Prior to joining Telemundo in 2011, he did radio and commercial voice-over work. When he arrived to the U.S. in 2010, he worked as a producer and host of “Entre Amigos,” a 3-hour radio news and community service program at Crawford Broadcasting’s 810 AM in Denver. Javier was a radio and television producer and host in his native Honduras, where he worked at TEN Channel Honduras, Radio América and Channel 42.
hell no this can’t be happening he is a great meteorologist. Denver is a big enough market i don’t want Telemundo Denver to not have a meteorologist though Javier did do weather reports for San Jose,Phoenix Tucson both,Las Vegas. (though also wasn’t live it came out of Phoenix). These station didn’t have meteorologists now they do because of news expansion. But what I’m writing here. is that he was a nationalized weather meteorologist. i don’t want Telemundo Denver to have weather coming from another station and Javier was amazing meteorologist.